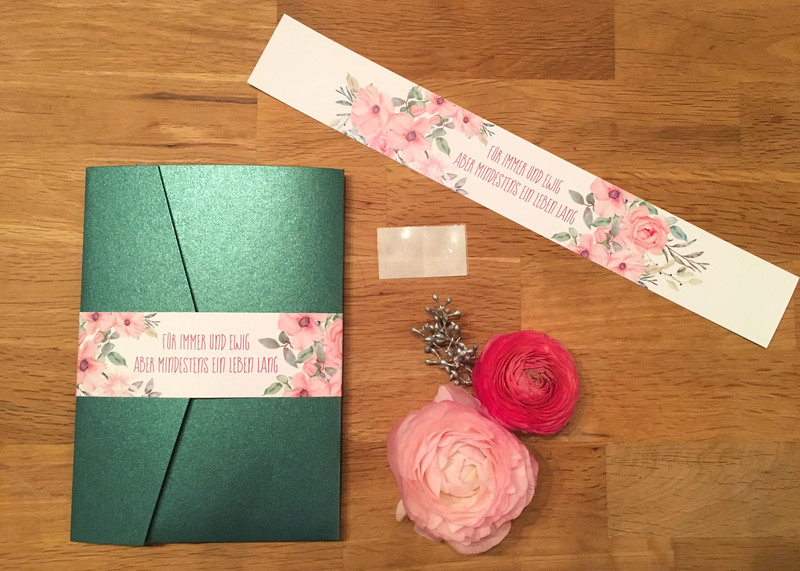 Just after our engagement I started looking on Pinterest for ideas on how to do our wedding invitations. 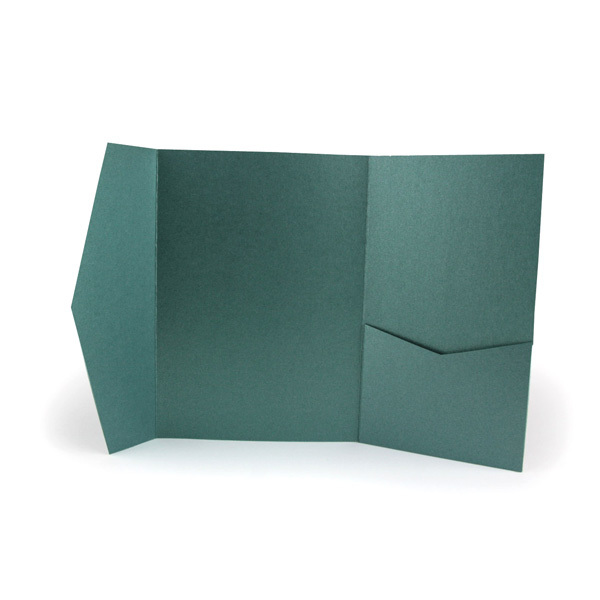 I always knew that I wanted DIY invitations and not ready-made invitations. First I really fell in love with all of the rustic style invitations, but then we found the perfect location – an old private castle with its own church. So then I changed my opinion and started to design romantic invitations. 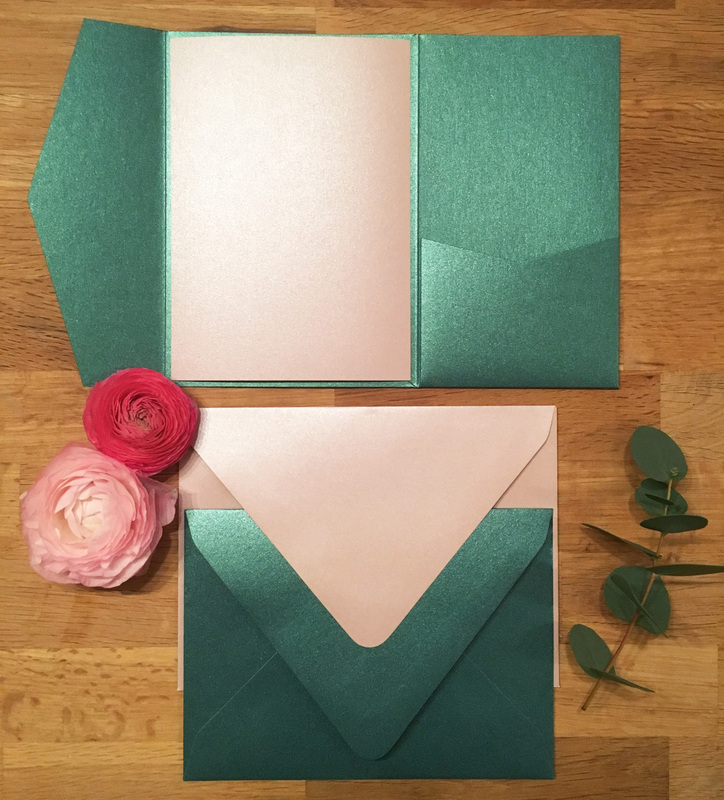 Because my fiancé and I both really like jade green, and I fell in love with the combination of jade and soft rose, we chose those as our colors. 1.) 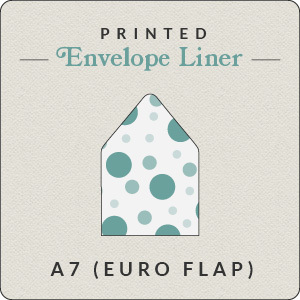 First I ordered the A7 Signature Mock-Up Kit sample to choose from the different colors. Then I ordered all of my materials. 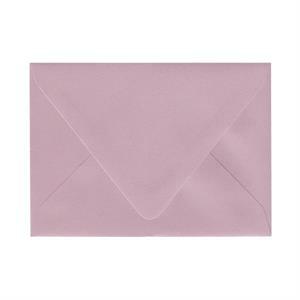 The envelope liners were printed by Cards and Pockets and mounted by their service (totally worth the price!). 2.) 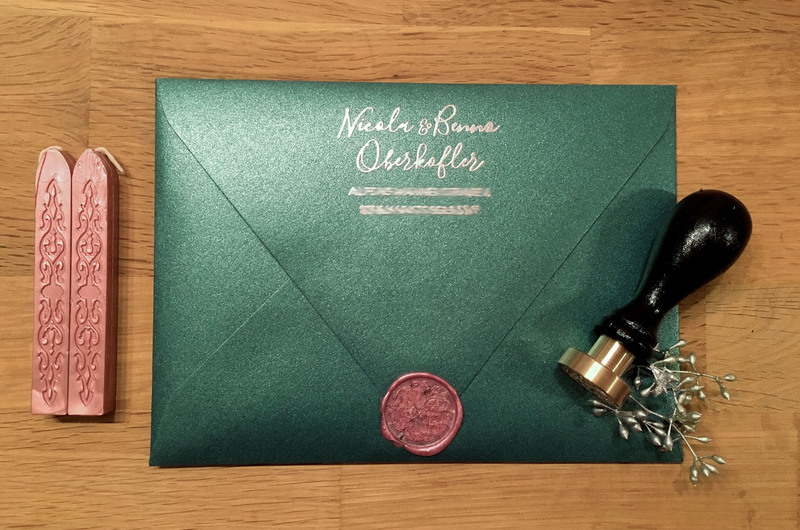 The printing of our invitations were done by our local printshop in town (Germany), but without the word “invitation” and without our names on it, because I planned to emboss these three words. 3.) 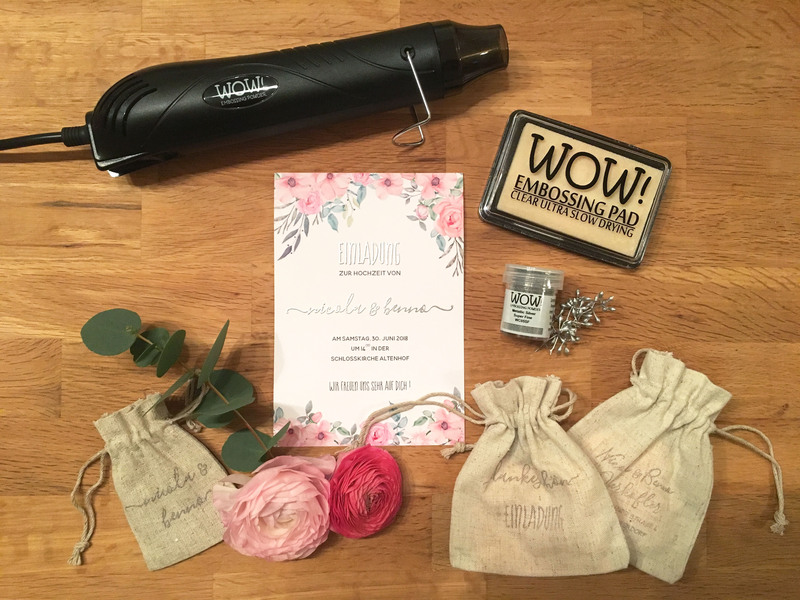 I started embossing by stamping one invitation after another: stamp, put powder on it, put spare powder away, blow dry the whole invitation with embossing tool. 4.) 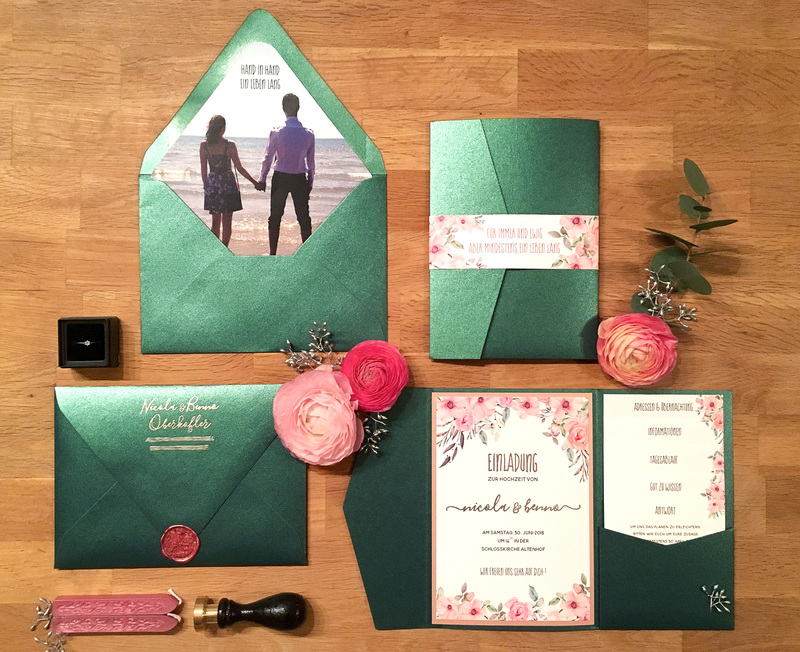 Mount invitations to the invitation mat with permanent glue stick. 6.) 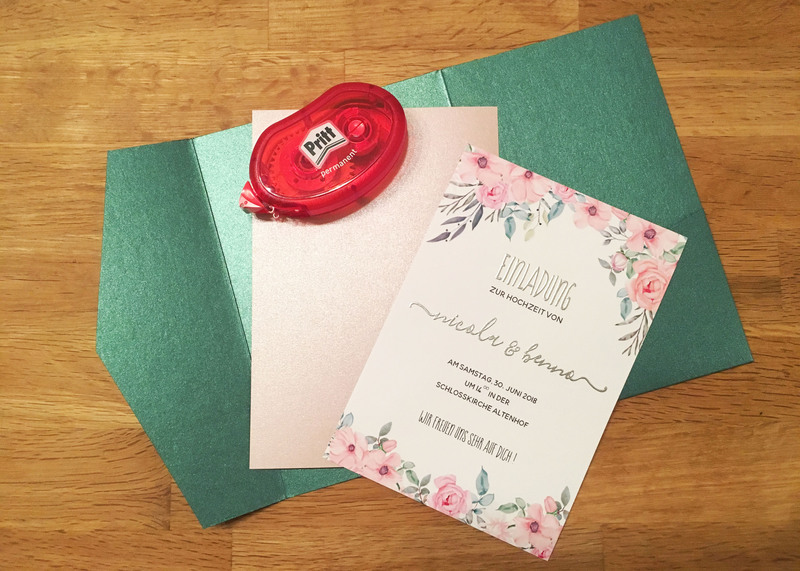 Next step was putting the belly band around the invitation with two glue dots. 7.) 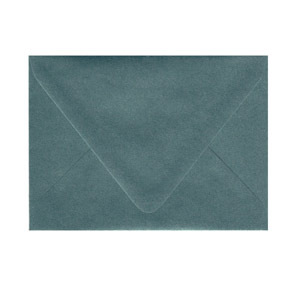 Last step: sealing the envelopes with our monogramme seal stamp. Take your time and be sure that you like your design before starting! Thank you for sharing your DIY Story with us! At Cards & Pockets, we love DIYers. We also know that one of the best ways to be inspired is to see and learn about other people’s experiences. 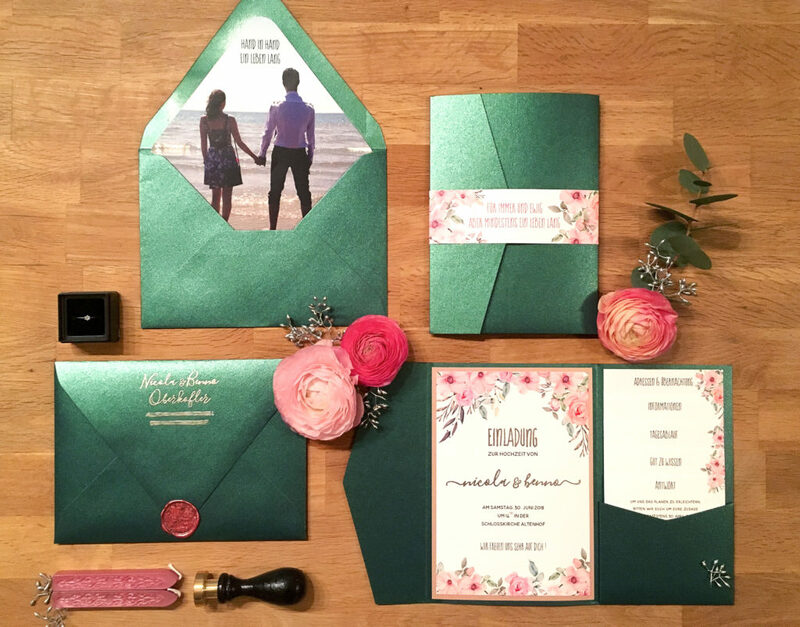 We’re excited to share stories of our customers unique DIY invitation process.